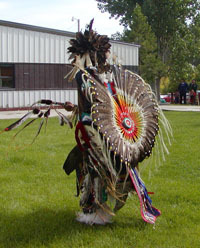 Chief Dull Knife College is located on the Northern Cheyenne Indian Reservation in southeastern Montana. The reservation is approximately 44 miles long and 23 miles wide, encompassing 450,000 acres. Located in a rural area, the reservation is predominantly surrounded by ranching and coal mining activity. Major electrical generation plants are located just north of the reservation at Colstrip, Montana. The reservation population lives within the five distinct reservation districts of Ashland, Birney, Busby, Lame Deer, and Muddy Creek. The largest population center is the Lame Deer District with approximately 3,215 people. Chief Dull Knife College is located in Lame Deer approximately two blocks east and one block north of the intersection of Highways 212 and 39. Also located in Lame Deer are the Bureau of Indian Affairs offices, Indian Health Service facilities, tribal government offices, First Interstate Bank, public K-12 schools, various churches, and retail businesses. The College has one main building, which houses administration, faculty offices, cafeteria facilities, bookstore, a learning center and sufficient classroom space to serve 300 students. Specialized laboratory facilities include a science laboratory, two computing labs, and a distance learning center. In addition, separate facilities house the library, information technology, cultural center, the early childhood learning center, the adult education literacy center, the technical skills center, student activities center, student learning center, student lounge and Vocational Rehabilitation Center. 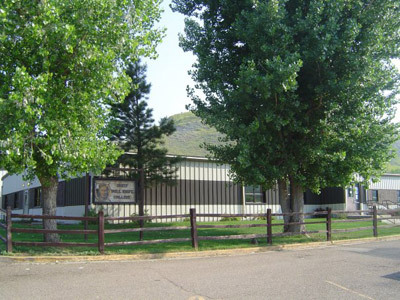 The Boys and Girls Club facility, fitness center, Lame Deer School gymnasium, and community playing fields are available for athletic activities. Off-campus classes serving the Northern Cheyenne reservation and surrounding areas are held in classroom facilities at Colstrip Schools in Colstrip, St. Labre Indian School in Ashland, Northern Cheyenne Tribal School in Busby, and Lame Deer High School in Lame Deer.